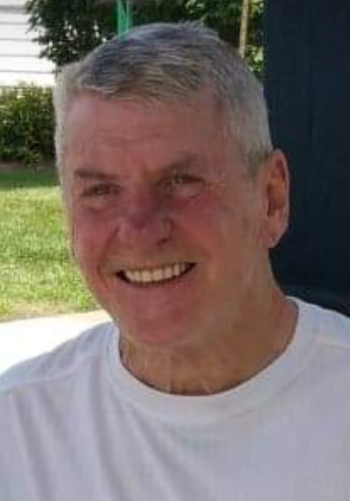 Larry A. Bryn, 73 of Eau Claire passed away on Saturday, January 12, 2019 at Colfax Health and Rehabilitation Center. Larry was born to Sigvald and Violetta (Gruhlke) Bryn on October 3, 1945 in Eau Claire. Larry loved to interact with people and was well liked. After his service in the National Guard, he worked for Coca-Cola and then the Eagles Club & Court N House, where he bartended for years. He always found humor in things and his infamous “laughing jags” were contagious. He enjoyed fishing, playing cards and going to stock car races with his brother. Larry loved telling his grandkids about his days as a stock car driver. Larry is survived by his children Michael (Natasha) Bryn & Angie (Adam) Hendrickson; grandchildren: Sawyer, Kasmer, Vyla, Ava & Hazel. Larry was preceded in death by his parents and his brother Les Bryn. A memorial service will be held at Oakwood Homes Apartments, 3802 Damon St., Eau Claire on Sunday, January 20, 2019 at 4:00 pm. Visitation will be held from 2:00 until time of service. Family and friends may leave online condolences at www.smithfuneralec.com. We are so sorry to hear of your Dad’s passing. Gary and I used to have so much fun with him and Les over the years. He and Les are probably at the races up in heaven. Please know we are thinking of all of you and keeping you in our prayers.